A gentle hypoallergenic feminine wash. Faith in Nature's Feminine Wash has been enriched with Organic Aloe Vera to delicately cleanse your sensitive skin. All Faith in Nature products are GM free. 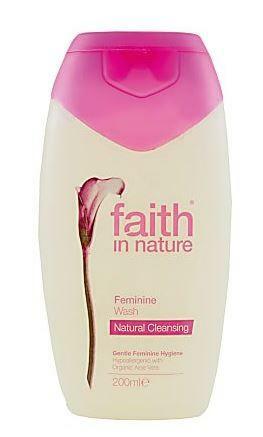 How to use Faith in Nature Feminine wash; Use this very mild feminine wash as part of your daily cleansing route. Wash and rinse thoroughly with warm water. For external use only.